I'm more worried about the methylisothiazolinone in my shampoo killing my neurons than the alcohol I consume. Original Statement. 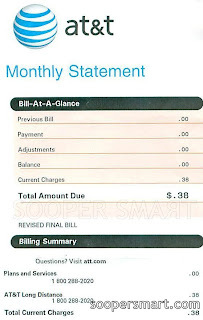 Phone call made to at&t accounts receivable requesting account be cleared. Revised Statement. "Computer" malfunction. No way to rectify. 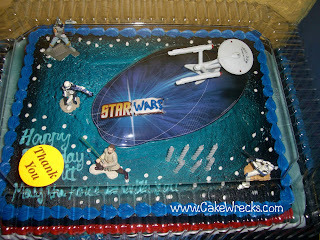 Cakes from my favorite documedies (documentary comedies) - Star Trek, Star Wars, and Stargate - via Cakewrecks.com. 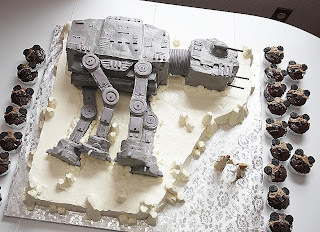 Yes, the following is also a wedding cake. 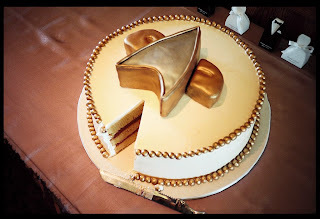 Oops, how did this get in here - an unfortunate star-trek-wars-hybrid disaster cake... Why?!! I love watching reruns of these shows to help my brain relax. I believe that life on planet Terra (Earth) originated on the backs of crystals, or was possibly seeded by aliens. 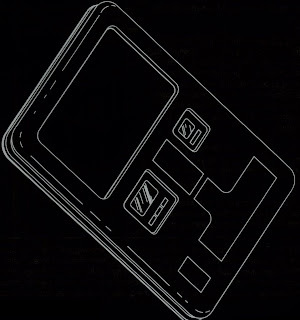 A PADD from Star Trek: TNG. 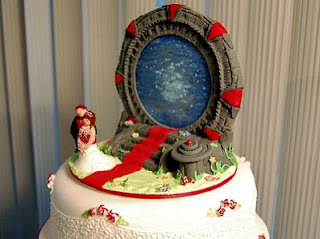 Next year, the first food replicator will be tested. Even if I agree with you, I will respond to you with a negative, such as "Well...", "No...", or "Well, no!" For some inexplicable reason I manage to a) make it sound like I'm disagreeing with you (even if I'm not), b) make you think what you said was wrong by my response (even though I've just agreed with you) or c) annoy you but make you feel inferior so it doesn't really matter. It seems that somewhere along the way my mind was wired to run everything through a Sooper Negative Filter (SNF). Hidden in the deep dark heart of Indochina is a top secret refinery producing a special blend of gasoline which enables any automobile produced in the last 20 years (1990 to 2010 for those of you reading this in the future) to experience nearly ten times in gas mileage improvement. This means your average mid-sized car could run for nearly 3000 miles before ever needing to fill up (based on a typical 15 gallon gas tank and today's cars 17-20 mpg rating), and for many in The Colonies mean visiting a gas station only 5 times a year. Hmm, this all reminds me of a classified assignment from my early days, when I was charged with supervising a probe insertion into a complex pipework containing 1000 deg Farenheight (538 deg C) petroleum product. Needless to say it was a highly dangerous procedure and only made worse by a simple but deadly error made by one the engineers who designed a critical component of the insertion device. The muscle and I were nearly melted by the heat radiation and then drenched in high acid crude. On the bright side, we each left 20% lighter and had the wonderful perk of receiving a simultaneous full sauna treatment during the workday. Moral of this morality tale: never assume that anything was safely designed or manufactured, always bring a towel when working in the tropics, and ditch those electric vehicles readying yourselves to make SOOPER SMAЯT PETROL® your favorite brand for a very reasonable price. In fact, never make an assumption at all since we know what happens to you and Mp'Shun when you do. 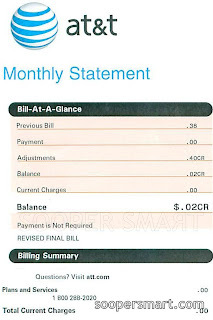 Note: These photos are for your eyes only, so please take care that they not fall into the wrong hands.